Nursing home negligence affects thousands of elderly Americans every year; resulting in serious injuries and sometimes, untimely death. More than 3.5 million people live in nursing homes and that number is quickly rising. As many as 44% of nursing home patients have reported being a victim of nursing home neglect and 95 percent say they’ve witnessed neglect. Many long-term care facilities could be understaffed and its workers undertrained. Recent polls suggest that many nursing home workers feel they are underpaid to work in this kind of environment. Studies have shown this outlook can lead to carelessness, negligence and sometimes, abuse. When a nursing home fails to provide adequate care for a patient, causing injury or death, that the patient and their family may be entitled to significant compensation. The nursing home negligence attorneys at Cellino & Barnes are experienced professionals with a track record of getting clients the best results possible. If you believe a loved one was the victim of nursing home abuse or negligence, contact an attorney who can help you immediately: call (800) 888-8888 or Contact Us now. To find the best nursing home for your loved ones download the Parent Care App on your smartphone or tablet. 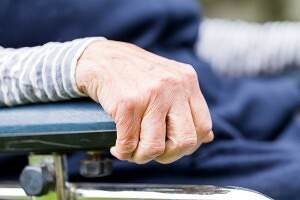 Bedsores – these are the most common type of nursing home injury. Bedsores are so common, it’s estimated that 1 in 10 patients has bedsores. Although this injury is common, it is also easily prevented with proper care and treatment. However, if bedsores are not treated properly, they can become very serious and in some cases deadly. Malnutrition – this is not just the lacking of nutrients; patients can also have too much of a given nutrient or unproportioned meals. Every patient must be properly fed and cared for, and that includes a balanced diet. Nursing home staffs must be trained to feed their patients accordingly but this training can sometimes be neglected. Poor Hygiene – Nursing home staff members should be trained to make sure the facility and its patients are clean and sanitary. Bedrooms and bathrooms, in particular, must be cleaned regularly and meet specific sanitary guidelines. Each nursing home should have a cleaning schedule. If you notice any of these warning signs, Contact Cellino & Barnes today for a free consultation or call (800) 888-8888 to speak directly with a lawyer now.